Traditional farmhouse cottage in quiet surroundings. Plenty of space, nicely renovated, all rooms en-suite. Great chef available too! 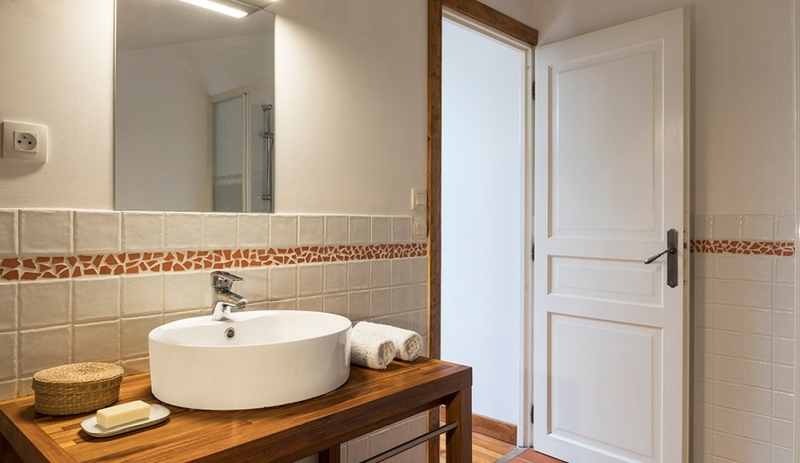 Price includes: Welcome pack; bed linen, bath and pool towels; weekly change of linen, bath and pool towels for bookings of two weeks or more; final cleaning; mid-stay clean for bookings of two weeks; cots, high chairs and baby equipment. Optional extras: Superb cook (pre-booking essential); additional housekeeping EUR 15/hr; babysitting EUR 15/hr; pre-arrival shopping EUR 15/hr; catering, events parties & small weddings - please enquire. All extra services paid locally, prices quoted may be subject to change. 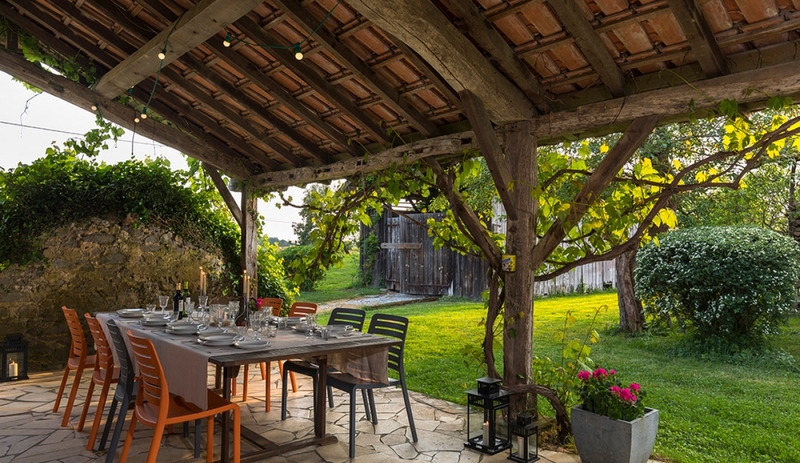 It offers good quality accommodation in a 'modern, rustic farmhouse' style. 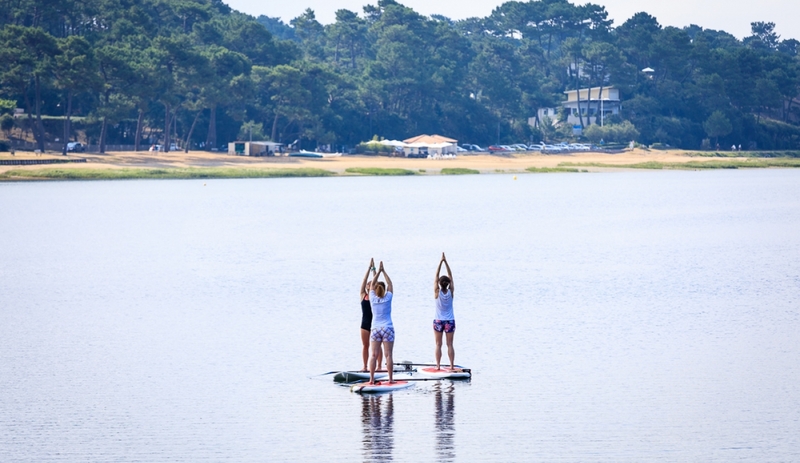 The setting combines the best of countryside and seaside holidays - situated in tranquil surroundings in the southern Landes, yet just 15 minutes from the lively resorts of Hossegor and Capbreton. 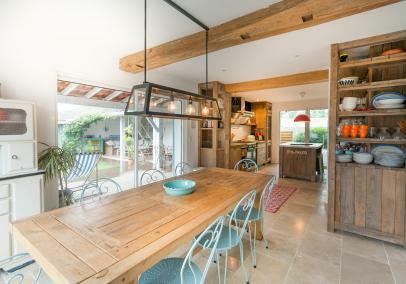 Features include a large garden, heated swimming pool, covered terrace and table-tennis. Plus there's the option to use the services of a cook, house-keeper and baby-sitter - ideal for the parents! And, having stayed here a few times ourselves, we can be sure you'll enjoy a good night's sleep - so tranquil! 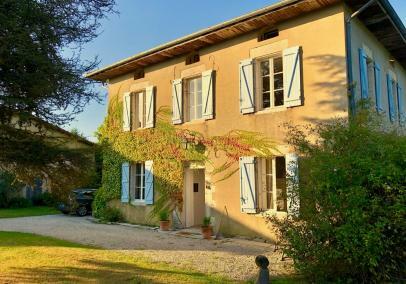 This is a perfect place for two families or a group of friends to enjoy both the coast and the countryside of Aquitaine. It's also a great venue for celebrations because Vincent is on-hand to cook fantastic meals - he & Julia are experienced in catering for events. Toddlers - excellent, lots of toys and complete baby kit provided. There are two cots and two high chairs available. The pool is heated. Owners have three young ones themselves. Teenagers - quiet location but pool, DVD, table tennis. 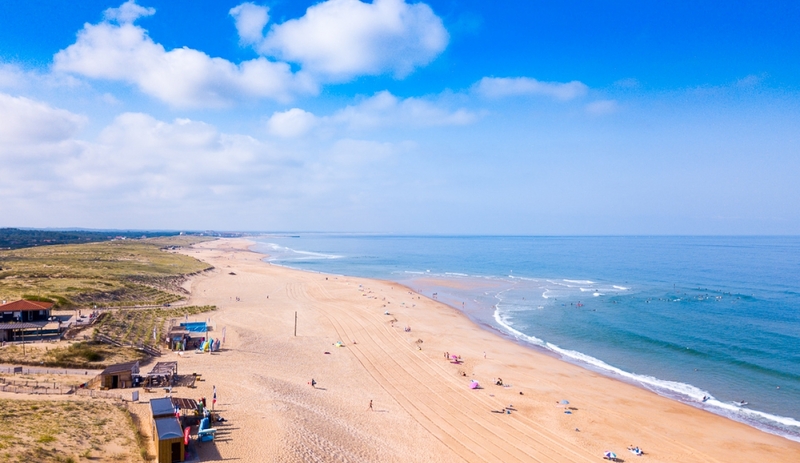 Short drive to Hossegor. Reduced mobility - one bedroom & bathroom on ground floor. 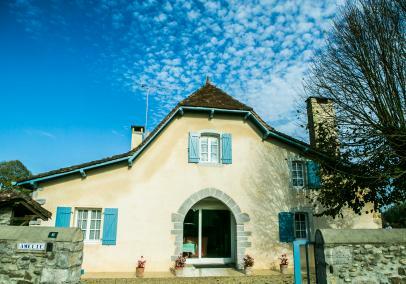 The domaine is divided into two separate living quarters (entirely separate entrances and accommodation). The owners - Jules & Vincent and their 3 young-ish children - live in this adjoining space. They can be on-hand to make your holiday all the more relaxing and they are a huge reason why so many guests come back year after year. As well as house-keeping & baby-sitting services Vincent is a fabulous chef. 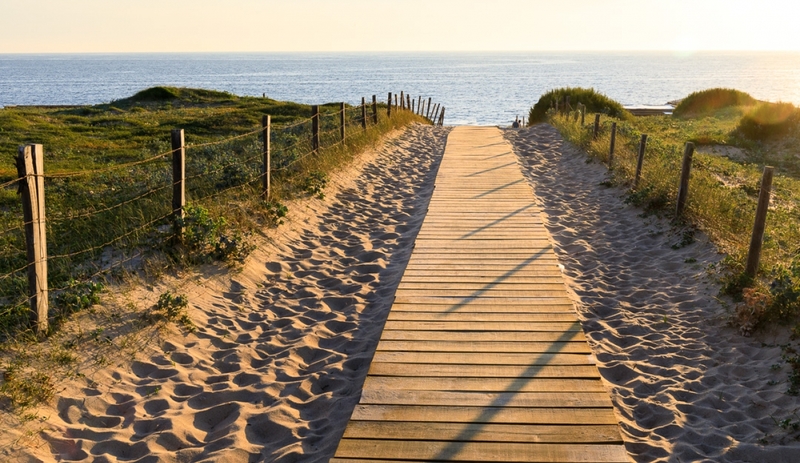 Capbreton is the more authentic, a former whaling village which still relies on the sea for it's prosperity. There's a working fishing port, marina, museum of the sea, fish market and plenty of seafood restaurants. 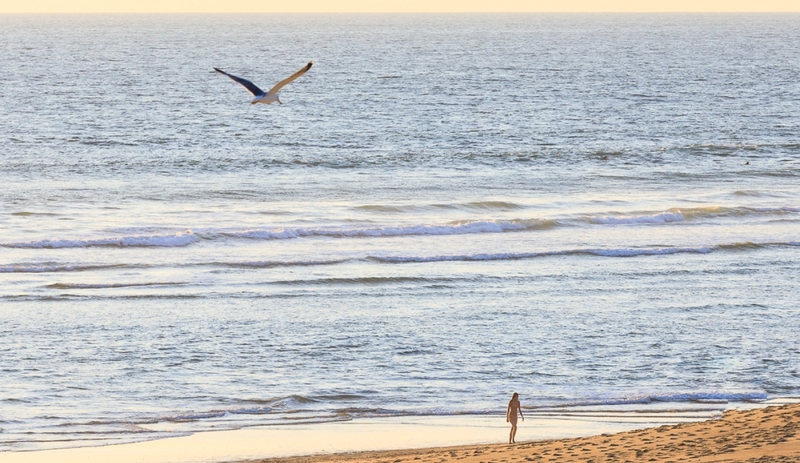 Hossegor is more famous: an established surfing destination with a very 'cool' vibe. It also offers great beaches, good shopping, a lovely lagoon and plenty of activities (surf, golf, tennis, cycling, sailing & more). 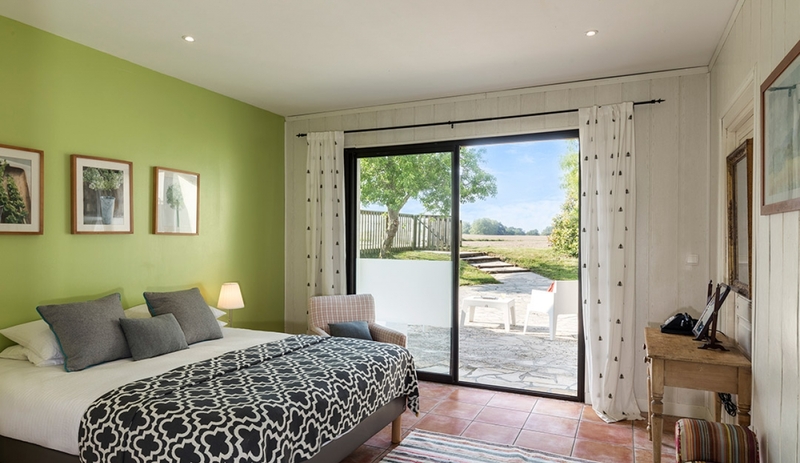 Domaine d'Orx is also available to book via the Simpson Travel website. 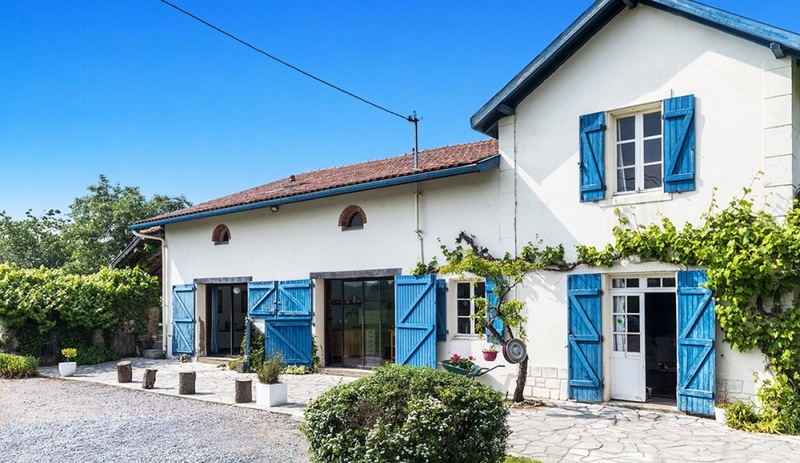 A well-equipped house with heated pool, home cinema and a great chef available! 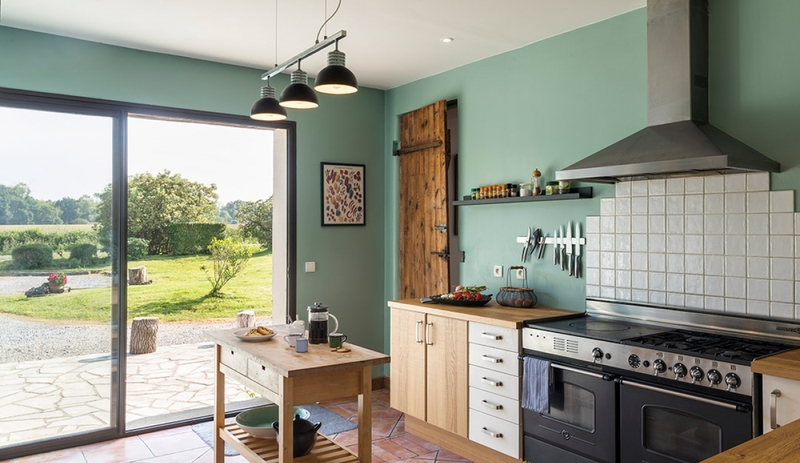 Domaine d'Orx was created from a former farm outbuilding and converted to provide stylish holiday farmhouse-style accommodation, whilst retaining many original features and its rural feel. 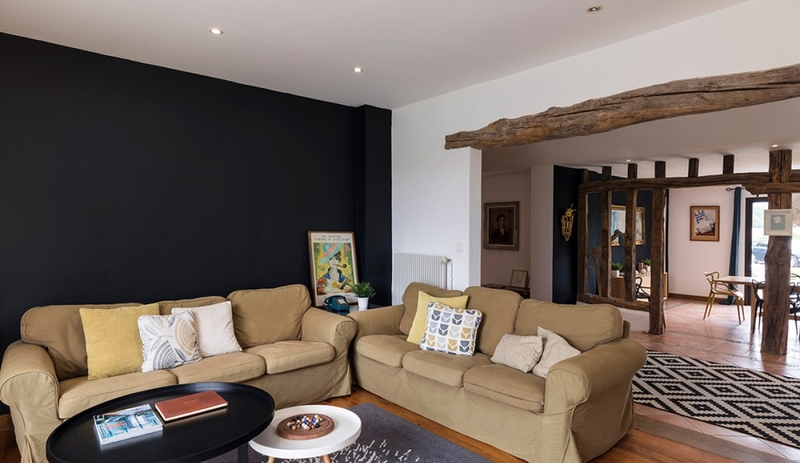 It has been renovated in a 'clean, unfussy' style, ideal for holiday rentals. The holiday cottage accommodation adjoins the owners' (family of five) accommodation. The pool and most of the grounds, apart from the area outside the cottage entrance, are for guests' exclusive use. The entrance (at the rear of the house) is via a covered veranda sheltered by vine leaves which provides an escape from the midday sun and an idyllic spot for a bit of reading. 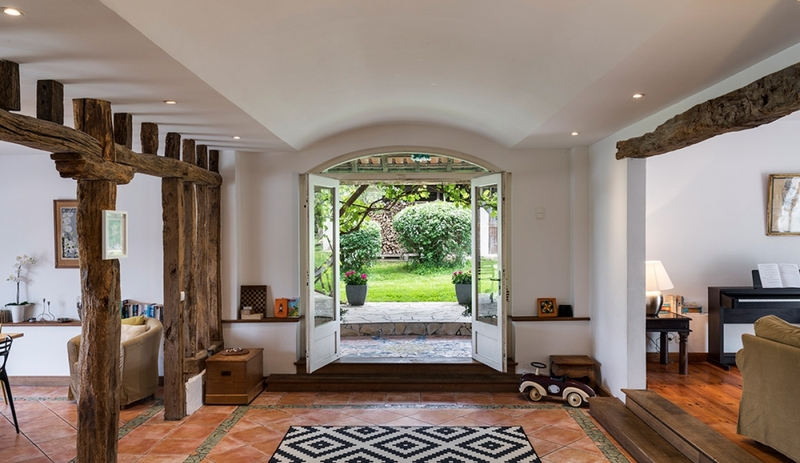 It leads into an impressively spacious, stone-tiled hallway. 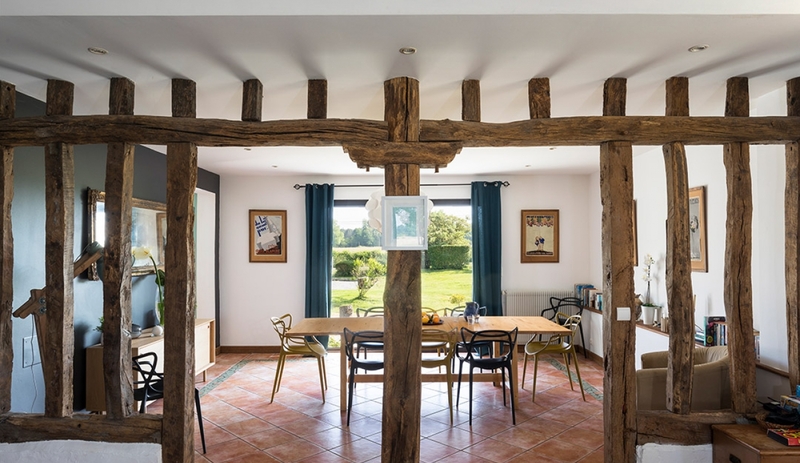 To one side is the dining area (seating for 10-12), separated from the hall by some of the property's original wooden beams; to the other side on a lightly raised level is the living area with paintings, two sofas and home cinema (48" flatscreen TV, DVD, Blue Ray, iPod dock). The décor is a blend of rustic simplicity and contemporary style. Also on the ground floor is a fully equipped modern kitchen, with stainless steel range and all essential appliances (dishwasher, washing machine, etc). One double bedroom is on the ground floor, with a large window overlooking the garden and fields beyond. 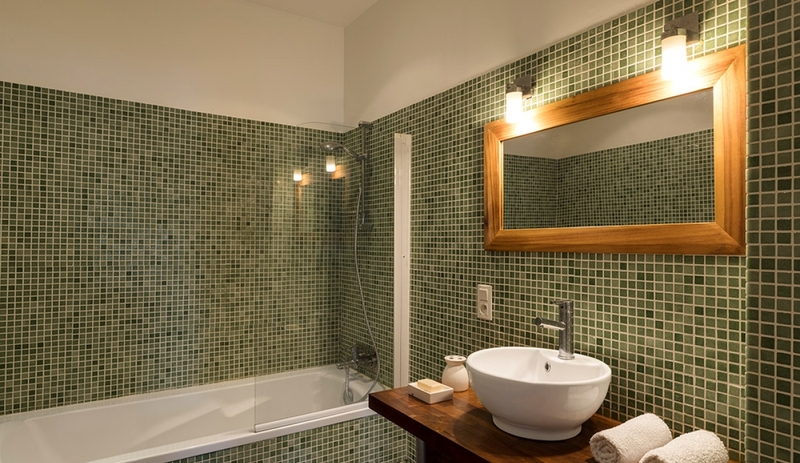 This room has a private bathroom with bath, shower and WC. 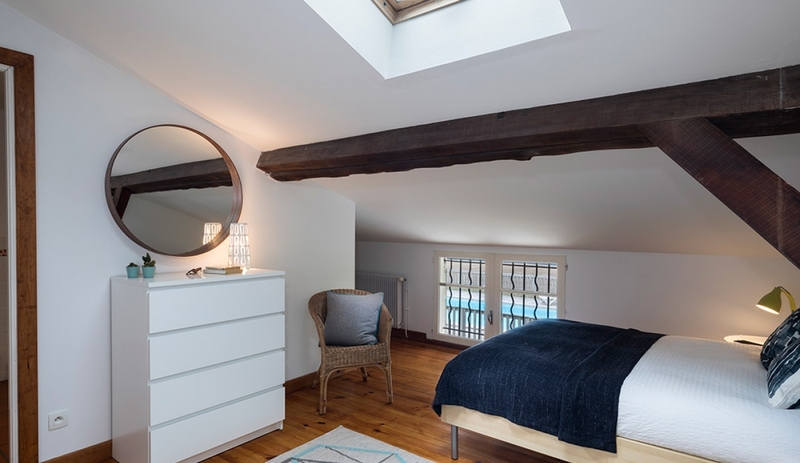 A central wooden staircase leads from the hallway to the upper level, where there are a further four bedrooms (three doubles and a twin room), all with with modern en-suite shower rooms). 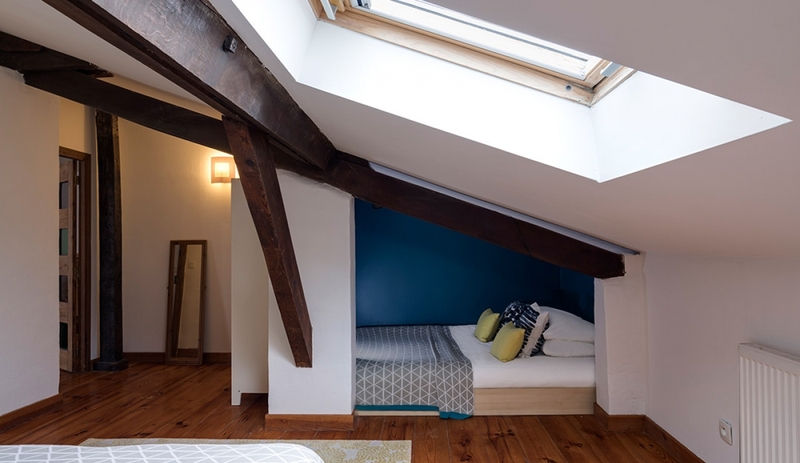 Every room has original beams, wooden floors and is decorated differently, making excellent use of the different layout and natural light. 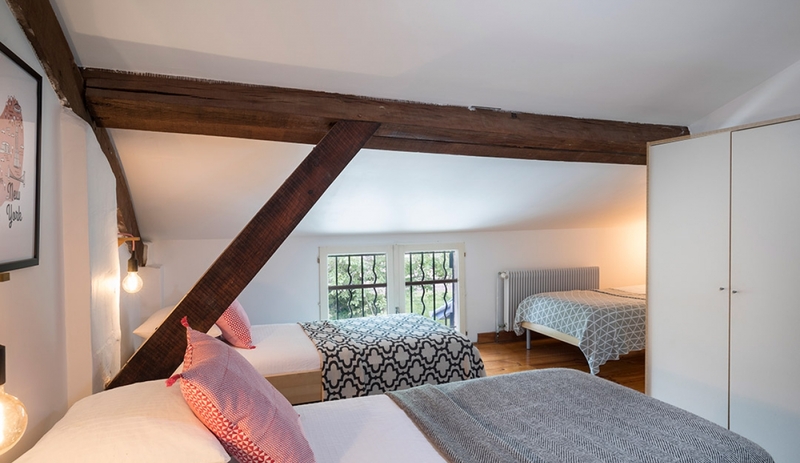 In one of the double bedrooms there is an additional double mattress available - suitable for kids who don't want to share the double bed. From the veranda a small path leads to the heated swimming pool on a raised level at the rear of the house. The salt water pool measures 10m x 5m with a depth ranging from 1.25m - 1.75m, and has Roman steps. There is a common misconception that saltwater pools are full of salty sea water - as is sometimes the case in countries like India and Mexico, when close to the coast. In fact, the swimming pool is filtered by sand instead of felt and treated with salt instead of chlorine. The salt actually transforms to chlorine but is natural and therefore much better for thé skin, throat and eyes. This is the way pool installation is going in France and it is, of course, more efficient and eco-friendly. The owner might occassionally use the pool, but only with your consent. There is a handy outdoor WC and changing room by the pool. The garden is about one acre, mostly lawned and fenced all around, mostly hidden by shrubs and hedge. Leading from the living area is a patio area which captures the morning sun. There is plenty of room for football, badminton, etc and a BBQ is provided for alfresco meals. The views beyond the garden overlook the fields all around. It really is incredibly peaceful; at night the stars shine very brightly here too! Table tennis and in-ground trampoline for kids. Yes, heated pool 10 x 5m. Depth 1.25 - 1.75m with Roman steps. Protected by fence. Saltwater filtration. The owner might occasionally use the pool - but only with your consent. Vincent is a trained chef and we thoroughly recommend him - a catered meal is a perfect way to relax on holiday with family or friends. Complete Baby Kit provided: stairgates, sterilisers, cot & linen & mosquito net, high chair, potty, baby bath, pram. Two cots and two high chairs are available on request. Countryside, rural location yet close to the coast. There are just a handful of other dwellings in sight and the village centre of Orx (very good auberge restaurant) is 2 kms. 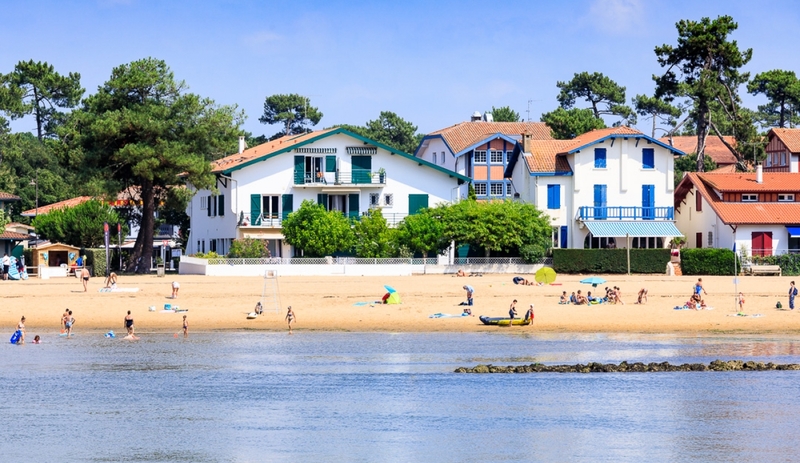 It's little more than 10 kms drive inland from the seaside resorts of Capbreton and Hossegor and 20-30 minutes north of Biarritz and Bayonne. 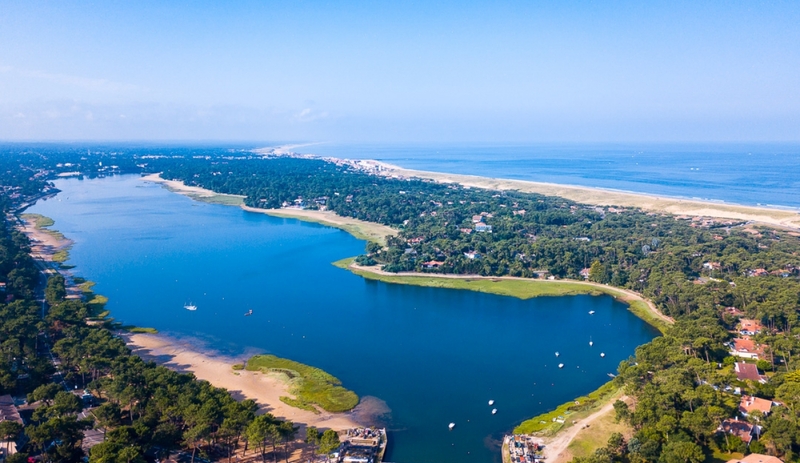 It is a place to enjoy both the beautiful sandy beaches and yet have a pecaeful countryside base to retreat to. Good road, rail and air connections locally. 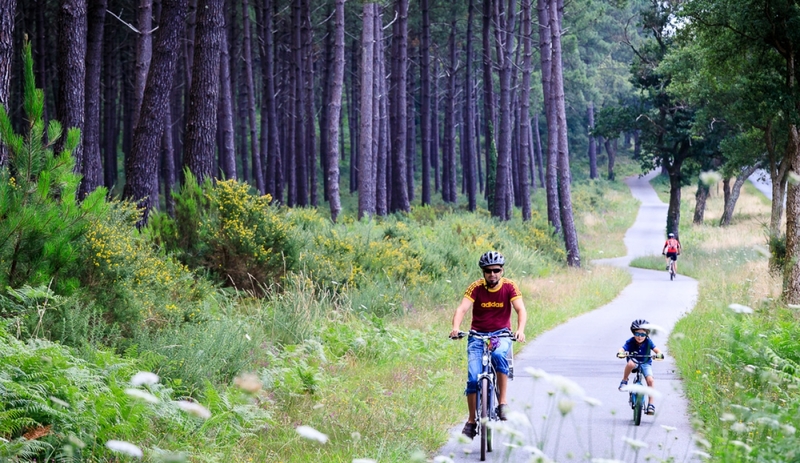 Market: Capbreton (Sat mornings) and Hossegor (Sun mornings) and St Vincent de Tyrossse (Fri mornings), both within 15km. 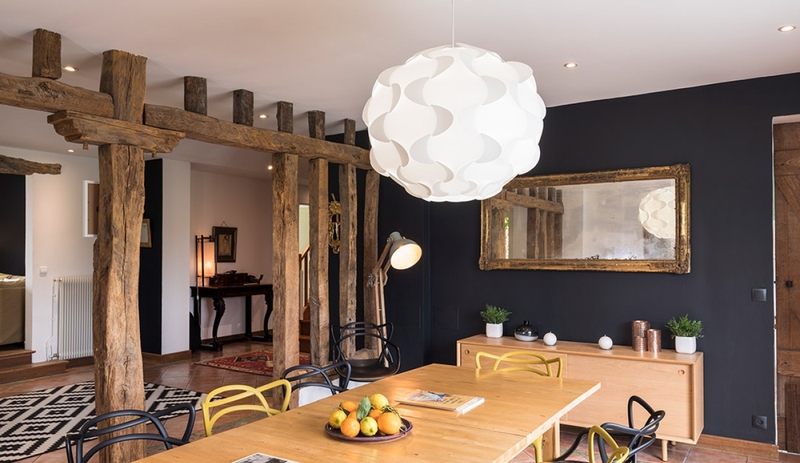 Product Comment: I know the house very well and I completely agree. 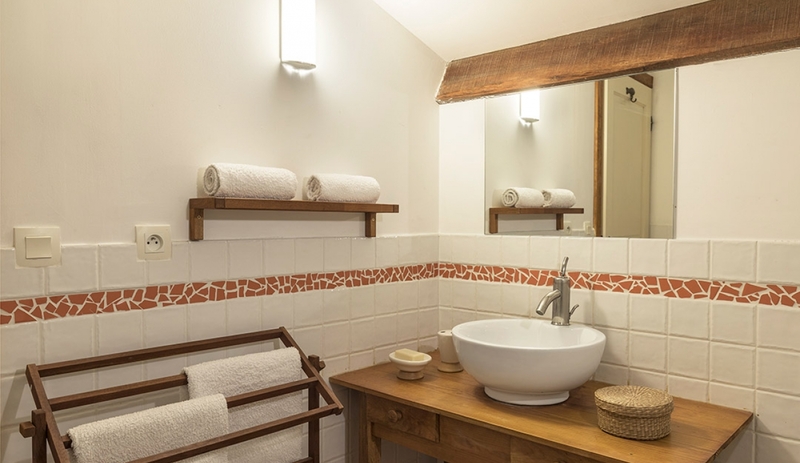 What Jules & Vincent have created at Orx is a truly relaxing, child-friendly holiday villa. 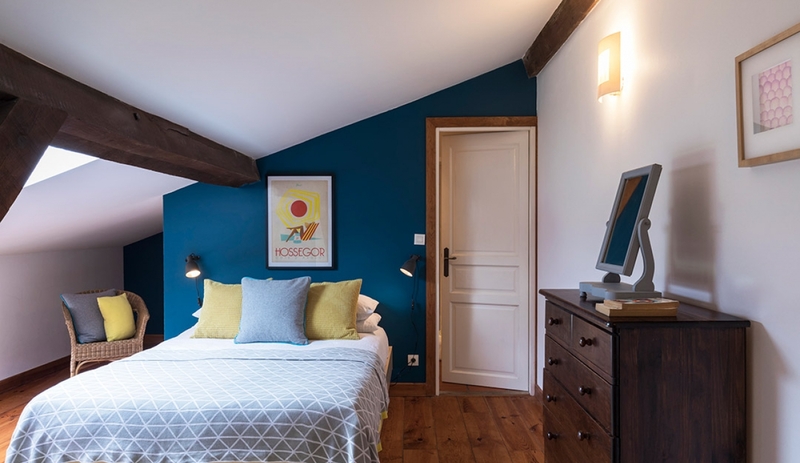 Product Comment: Merci pour vos commentaires et nous sommes heureux que vous ayez apprécié la maison. Le fait que les propriétaires vivent à côté est très clairement mis en évidence sur la description. Thank you for your comments and we are pleased that you enjoyed the house. The fact that the owners live next door is very clearly highlighted on the description. Product: Not my first stay. Always guaranteed a really good night's sleep. Thank you Julia and Vincent for your hospitality - and great cooking! Service: First class in all our dealings with them. Product: Very comfortable villa with a great garden for children and a good and quiet location. Service: Thank you very much for an excellent service! Product: Many thanks to Julia and Vincent for making our stay a very enjoyable one! Service: clear and direct communication. good! Service: Prompt replies to any questions. Product: Very spacious, friendly owners (note they live on site), good pool for toddlers but cleaning of the saline pool can take several hours.